CORAL GABLES, Florida, USAFor the 14th consecutive year, Acoutech of Miami provided a sound reinforcement system featuring HARMAN's Soundcraft Vi3000 digital consoles, JBL VERTEC® line arrays and Crown I-Tech HD amplifiers for the Billboard Latin Music Awards. The Awards were held at the Bank United Center in Coral Gables, Florida and aired on the Telemundo Network, with music performances by top Latin artists including Jennifer Lopez, Marc Anthony, Daddy Yankee and more. 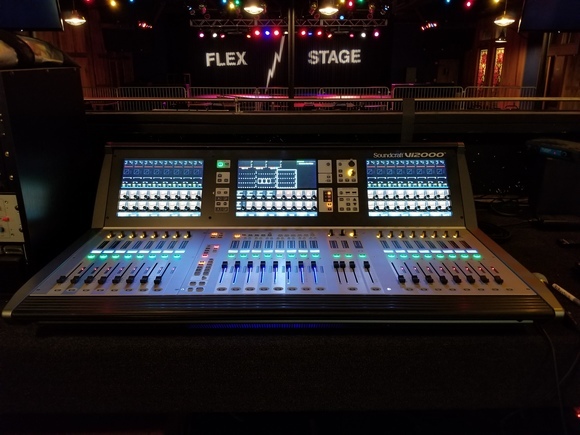 For the first year, Acoutech deployed a pair of Soundcraft Vi3000 digital mixing consoles, one for the FOH music mixing and one for monitor mixing. The FOH board featured 96 inputs, while the monitor console drove 16 stage mixes, plus another eight stereo hardwired in-ear mixes over MADI. In addition, Soundcraft Stageboxes fed 16 stereo wireless in-ear monitors. 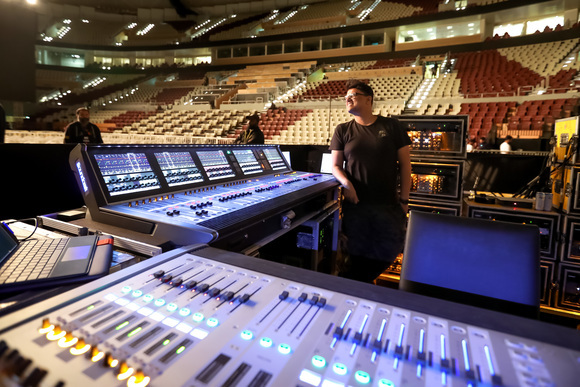 "The two Soundcraft consoles shared the same I/O so we were able to distribute and manage all the signals between the consoles and the production and music trucks," said AJ Perez, President of Acoutech. "We haven't worked very much with the Vi3000 so it was a new experience for us. The consoles performed great." "The Lexicon processing and built-in effects with the Vi3000 consoles were very impressive," added JC Aguila, Audio and Network Supervisor for Telemundo. "I've found these desks to be very user-friendly, and the overall quality of sound is top-notch." The main PA system for the awards featured JBL VERTEC VT4889 and VT4888 line array loudspeakers, along with VT4880 arrayable subwoofers. JBL VRX932LA Constant Curvature loudspeakers were used for front fill and side fill monitoring, while SRX712M stage monitors rounded out the loudspeaker system. "VERTEC is always our first choice because we trust them," Aguila said. According to Aguila, this year's awards show was particularly challenging because the stage production featured more visual components than ever before, including a giant LED wall. However, the VERTEC line arrays enabled Acoutech to find an optimal balance between acoustics and aesthetics. "We've used the VERTEC loudspeakers for many years now because they continue to allow us to do particular setups that not all loudspeakers can accomplish," Perez noted. "The VERTEC line arrays are able to deliver a high amount of output while maintaining a low visual profile, so we can meet the directors' and producers' requirements of keeping the audio system out of the camera shots." 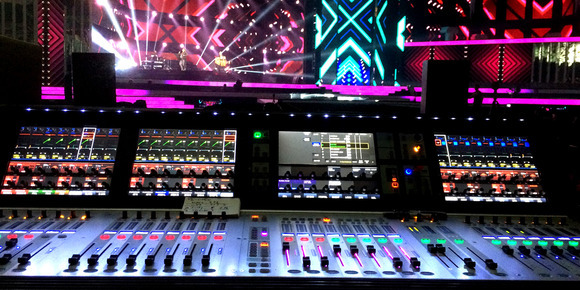 "VERTEC is absolutely a phenomenal piece of equipment," said Raphael Alkins, Production A1 Mixer for the Billboard Latin Music Awards. "It's amazing to see and hear a 14-year-old box that still has an unbelievable sound and can run side by side with anything on the market today." Crown I-Tech 4x3500HD amplifiers powered the loudspeakers. The amplifiers feature a variety of DSP capabilities including V5 preset tuning support for the VERTECline arrays. "We have upgraded with I-Tech 4x3500HD and more advanced presets, so through the years, little by little, we've been able to give the VERTEC boxes more life by keeping the system up to date and the system continues to perform great for us," Perez noted. "We usually fly the amp racks behind the loudspeakers, so we keep the cable lengths short and out of the way." 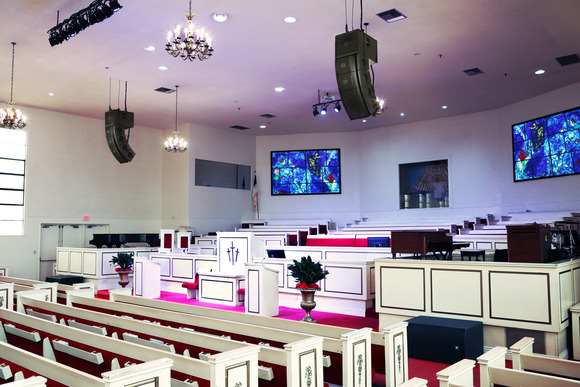 "The Crown I-Tech 4x3500HD amplifiers made a big difference in the sound, and the system engineer was also able to make critical adjustments at my request, within the cluster via the amplifiers to make mixing the show much easier for me," Alkins said. Thanks to the reliable performance of the HARMAN equipment, the Billboard Latin Music Awards were once again a resounding success. "Since I oversee broadcast audio as well for past years I've been in the broadcast truck; this year I was at FOH," Aguila said. "I was very impressed. 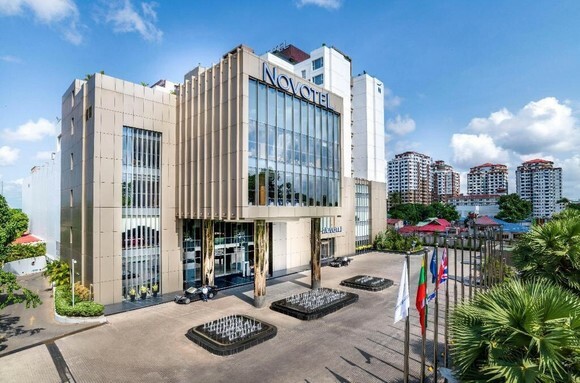 The quality of sound and the dynamic of the room was amazing." For more information on Acoutech, please visit www.acoutech.com.